*North Haven Patch published a story on Dec. 29 about the men’s basketball team signing 10-year-old Jack Larsen to the team through a program called “Team Impact.” The program seeks to improve the quality of life of children who suffer from a chronic or life-threatening illnesses. *Nicole Grossbard, a member of the women’s basketball team, and Luke Houston, who plays on the men’s basketball team, were highlighted in an a Dec. 21 story that appeared in the New Haven Register about their nomination for the Allstate Good Works Team. Student-athletes are selected for their community service contributions. The 20 winners will be announced in February. *Police Chief Joe Dooley was interviewed on the Dec. 14 edition of Channel 61’s “The Real Story” about the growing call for the use of body cameras by police throughout the state and country. *The New Haven Register ran an article in its Dec. 12 edition pertaining to the Friends of Rudolph event on campus. *The New Haven Register ran an online article Dec. 4 about President Papazian’s visit to the White House for the White House College Opportunity Day of Action. She was among hundreds of college/university presidents and higher education leaders to participate in the program, which focused on ways to help a greater number of students go to college. *Channel 61 posted a Dec. 4 article Thursday on its website, as well. SCSU Choir in Barcelona, Spain. Through a generous gift of the Stutzman Foundation, the SCSU choir will travel to Greece in December 2015. 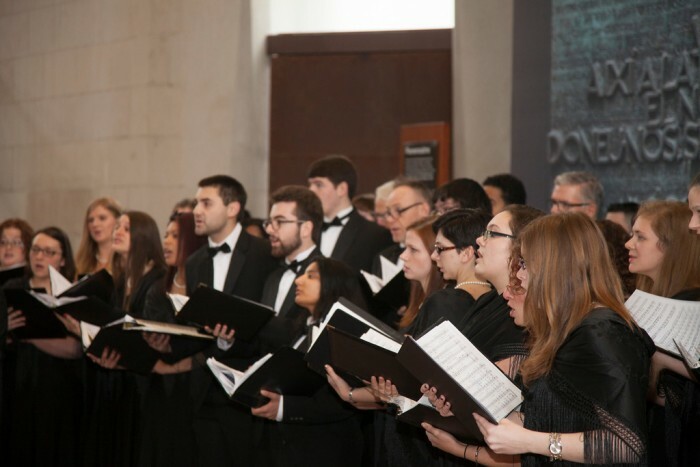 During the past six years, the Southern Connecticut State University Choir has traveled to Ireland, England, and Spain thanks to the vision and spirit of Walter Stutzman and generous gifts from the Stutzman Foundation. The choir, led by director Terese Gemme, has grown tremendously during this time, often performing stunning concerts to packed audiences. The choir has worked with internationally-known guest conductors such as Simon Carrington and Craig Hella Johnson. Last year’s concerts in Barcelona were filled to capacity, and the performances were exquisite. The choir is thrilled that the Stutzman Foundation has committed to funding a trip from December 27, 2015, through January 4, 2016, to Athens, Greece, where the choir will again work with Simon Carrington. In addition to a busy rehearsal and concert schedule, the choir will travel to the islands of Hydra and Aegina, Delphi, and Corinth. This exciting trip will once again enhance the students’ musical education and global awareness, while providing them with a life-changing experience. Watch the choirs 2014 holiday concert. The university has been named to The 2014 President’s Higher Education Community Service Honor Roll, with recognition in two categories: General Community Service and Education Community Service. Launched in 2006, the honor roll recognizes higher education institutions that reflect the values of exemplary community service. The Corporation for National and Community Service (CNCS) has administered the award since 2006 in collaboration with the U.S. Department of Education and the U.S. Department of Housing and Urban Development, as well as the American Council on Education, Campus Compact, and the Interfaith Youth Core. The honor roll annually highlights the role colleges and universities play in solving community problems and placing more students on a lifelong path of civic engagement by recognizing institutions that achieve meaningful, measurable outcomes in the communities they serve. Southern was previously on the honor roll in 2008 and 2009. Gear Up-Reach Up: Gear Up (Gaining Early Awareness and Readiness for Undergraduate Programs) is a national program with 47 states having funded sites. The program’s mission is to support and prepare urban youth populations in the New Haven Public Schools for academic, college and career readiness. Southern works with cohorts of high risk and vulnerable students beginning in middle school, with a goal of being accepted to, attending and succeeding in college. Southern Academy: Southern Academy is part of a multi-pronged approach that Southern is developing to help ensure that city school children receive the tools to succeed at an early age – in essence, tackling the achievement gap in the developmental years. The academy — an instructional program designed to improve literacy among local youth — includes an intensive, four-week on-campus program of education during the month of July. Jumpstart: Jumpstart is a national early education organization that recruits and trains college students and community members to serve preschool children in low-income neighborhoods. Jumpstart’s proven curriculum helps children develop the language and literacy skills they need to be ready for school, setting them on a path to close the achievement gap. Southern Athletics Community Service Cup: Community engagement is an important component of the experience of a Division II student-athlete. The Community Service Cup program provides a competitive format that allows student-athletes to gain an enriched experience through engagement with the on-campus and local communities by supporting ventures of traditional citizens, campus community members and peer students and student-athletes. SCSU student-athletes volunteered more than 3,000 hours of their time to numerous outreach efforts, both on-campus and in Greater New Haven, during the 2012-13 academic year. Adopt-A-Family: The Adopt-A-Family Food and toiletry drive is a campus-wide collaboration to collect nonperishable food and toiletries for distribution in November. Partnering with the Family Centered Services in New Haven, the food drive helps New Haven families throughout the holidays and the calendar year. Last year the university donated almost 600 boxes of food to Family Centered Services and other local agencies during the Thanksgiving season. The Ronald D. Herron Day of Service: The Ronald D. Herron Day of Service is an annual occasion for Southern students, faculty and staff to work together on service projects benefiting local neighborhoods and greater New Haven. 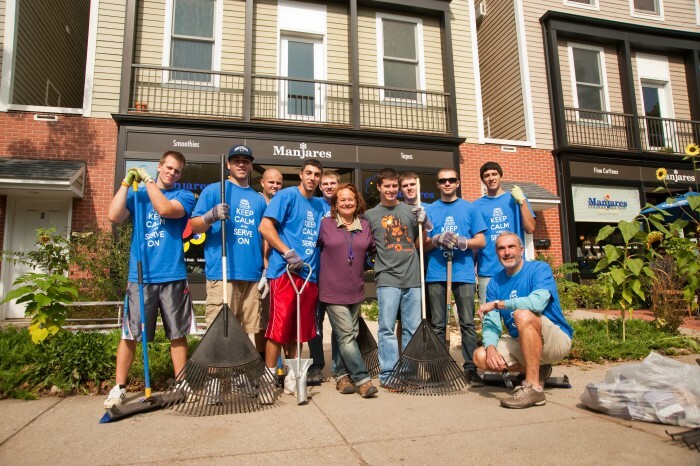 The Day of Service is a strong collaboration between the university and the New Haven Police Department. This year’s sites included neighborhood and park trash pick-up, organizing and handing out donations at a refugee resettlement office, community gardening and a tree planting project. Southern’s Service Commission, part of the Student Government Association, plans and hosts The Day of Service. Though traditionally a rite of passage, Southern’s December commencement exercises had special significance for graduate nursing major Carmen Martell, who has overcome great adversity in her 32 years. “This is my first graduation,” says Martell, who was pregnant at 18 and never participated in her high school graduation. “I didn’t attend graduation at [the University of] Saint Joseph’s where I earned my undergraduate degree. I was so depressed because I didn’t have any family to attend. A nurse who has been practicing for nine years, Martell certainly has overcome great obstacles. At the age of 9, she lost her mother to suicide. She was the youngest of four sisters living in Hartford, and the siblings were separated, with Martell sent to live with a foster care family in Rhode Island. “We never rekindled that bond. I don’t have any [biological] family,” she says matter-of-factly. Martell would ultimately move from foster home to foster home until, at the age of 15, she emancipated herself and found her own apartment and a job. A foster mother kept in touch and helped with some budgeting issues, but it was rough going, and Martell dropped out of high school. But Maurice Narcisse, her social worker with the Department of Children and Families, wouldn’t let her give up — and was on hand at Southern to watch her accept her graduate degree. “He’s been there throughout my life . . . the longest connection I’ve ever had. I call him my brother,” says Martell. Narcisse helped add structure to Martell’s life. She attended an adult education program and earned her high school diploma. College eventually followed. She attended Capital Community College and then the University of Saint Joseph, where she received a bachelor’s degree in nursing. Martell concedes that it was sometimes difficult to balance motherhood, the graduate nursing program’s challenging coursework, and her career. Her son has special needs, and she held a full-time job until April. She credits her professors, classmates, and her fiancé for helping her to make it through. “He’s wonderful. He’s been my backbone,” she says, proudly showing her engagement ring. You might want to check out this post If you haven’t read it — or even if you would like to look at it again. 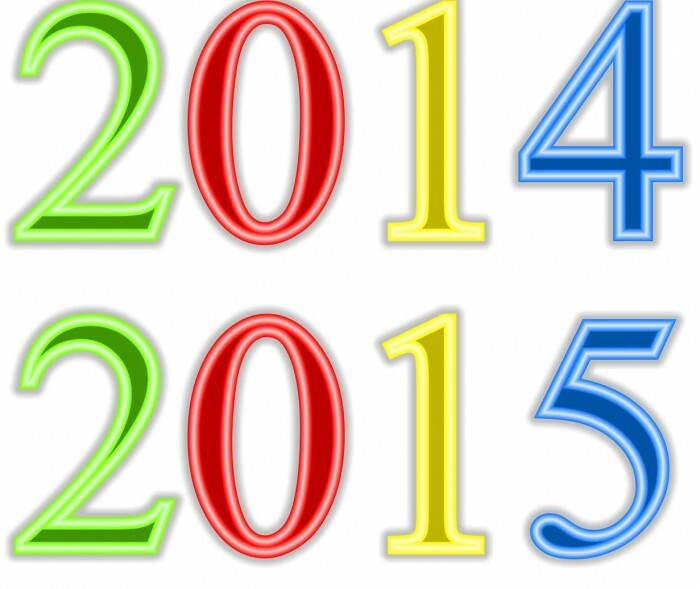 We have some insightful posts planned for 2015 that we believe you will find interesting to read. Mr. Mark Rozewski has been named the university’s next Executive Vice President for Finance and Administration. 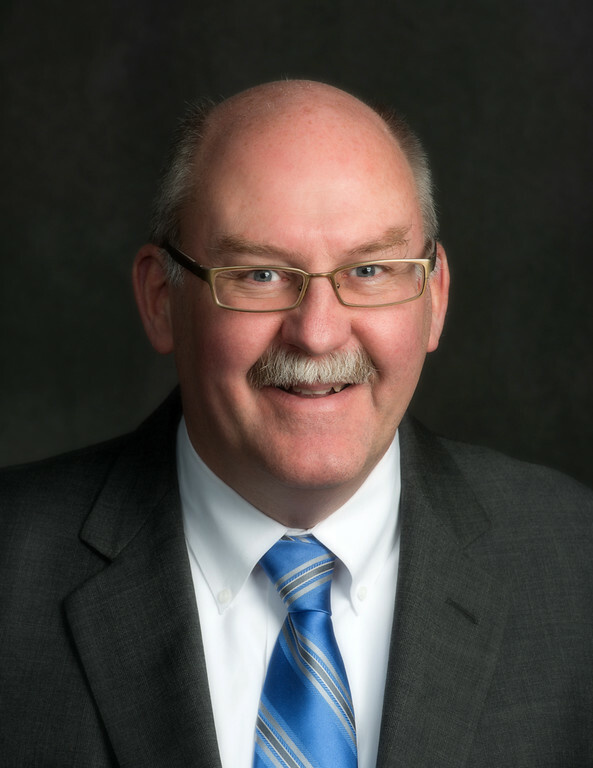 Mr. Rozewski is currently the Vice President for Finance and Administration at the University of Southern Indiana (USI), a state university of about 10,000 students. The Evansville, Ind.- based institution mirrors Southern in scale and has a similar emphasis on access and affordability. During the last decade at USI, Mr. Rozewski has held a broad and deep portfolio, including oversight of accounting and finance; facilities planning; campus security; human resources; student housing and financial aid. His record as a strong, experienced and innovative fiscal planner will serve us well during a period of continued financial uncertainty for our university. Mr. Rozewski is not a newcomer to higher education, having begun his career in the Office of Physical and Capital Planning at Rutgers University nearly 30 years ago. He spent two decades at Rutgers, starting at the central Brunswick campus, where he rose to the position of Director of the Office of Physical and Capital Planning. Later, he served as Associate Provost for Finance and Administration at the Camden campus for nearly 10 years. During his time at Rutgers, Mr. Rozewski gained a great deal of experience in campus facilities development and, latterly, managing in collective bargaining environments. In 2005, Mr. Rozewski moved west to Evansville, where he led the development of a campus master plan to support an eventual doubling in enrollment. This effort included the completion of a new library, a business and engineering building, a fitness center addition and a theater. He worked to realign employee benefits, in consultation with the campus community, and introduced a new retirement plan for support staff. And he developed initiatives aimed at preserving the institution’s affordability while providing needed resources to offset declining state support. Mr. Rozewski holds a master’s degree in city and regional planning from Rutgers and a B.A. in urban studies/planning from the same institution. He is looking forward to returning to Connecticut, where he began his career as a research assistant at the Connecticut Housing Finance Authority in Hartford. He will join the university community on campus on Feb. 16, 2015. 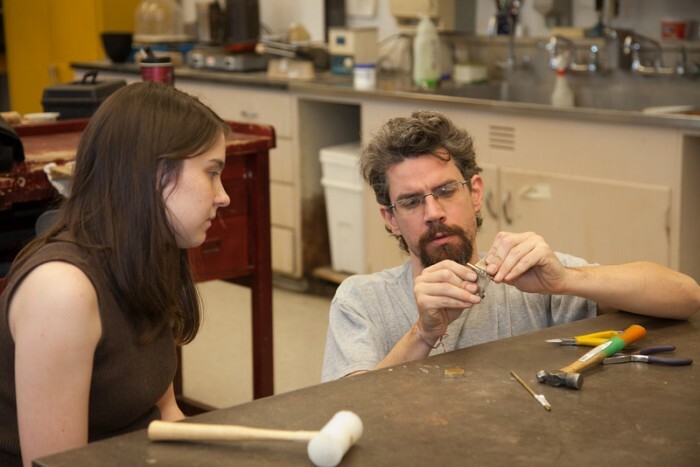 Art Professor Terrence Lavin, who teaches jewelry and metals, is receiving some well-deserved recognition for his work, with a solo exhibition going on now in Hartford and a fellowship recently awarded by the Connecticut Office of the Arts (COA). The exhibit, called “Terrence Lavin: Sculpture,” is on view until December 20 at EBK [small works] Gallery at 218 Pearl St. in Hartford. Gallery owner Eric Ben-Kiki says about Lavin’s sculptures, “What I love about [them], aside from them being gorgeous objects, is that they provoke your mind to anticipate and demand symmetry and logic from them; neither of which are satisfied. There is this desire to define a function for them but one can’t tell if these have had some utility in the distant past or are prototypes for a future not known. Nevertheless there is an intense magnetic beauty to these artworks that commands the present.” Images of objects in the exhibit can be viewed on the gallery’s website. “My work serves as a personal exploration into the unknown and much-debated areas of the human experience: space, time, function, meaning, and the physical forces of the universe. I am interested in making pieces that possess their own authority as objects of contemplation, and that speak of artifacts of the past, present, and possible future. Common to these pieces is a quality of enigmatic and ambiguous utility essential in generating a dialogue and pattern of inquiry between the object and subject. By drawing upon the vast histories of industrialization and machine technology, tools, architecture, and utilitarian objects, I find a tremendous pool of symbols directly relevant to the everyday human experience. Explorations of the physical realities of tension, torsion, and compression allow for an infinite variety of dynamic relationships in the context of a machine aesthetic, as well as the subtle qualities of gesture and motion. Lavin is one of only six artists in the state to be awarded a 2014 Artist Fellowship from the COA. The COA received a total of 94 applications for the fellowships and chose the winners based on the artistic excellence of their work. Grants in the amount of $10,000 were awarded in the categories of Craft, Film/Video, New Media/Digital Arts and Sculpture/3D Installation; Lavin was chosen in the “Craft” category. The funding provides an opportunity for these artists to continue their artistic development and creation of new work. Southern has joined the Yale School of Medicine’s Comer School Development Program and the New Haven Public Schools in a partnership designed to improve teacher training. The W.K. Kellogg Foundation of Battle Creek, Mich., recently awarded a $600,000 grant for the creation of the Collaborative for Developmentally Centered Education. The project will enable Southern students to participate in professional development opportunities in the New Haven schools, which are coordinated by the Comer program. Michael Ben-Avie, director of assessment, said those professional development workshops previously were limited to the teachers in the New Haven school system, and therefore did not include the Southern students. He lauded James P. Comer, founder of the Comer program, as a national expert on child development. “He sits on various panels across the country and understands the broad landscape of education,” Ben-Avie said. SCSU also has created a new course to apply the developmental knowledge, according to Ben-Avie. It will be taught for the first time in the spring. Stephen J. Hegedus, dean of the School of Education, thanked the Kellogg Foundation for its support, as well as the Comer program and the New Haven Public Schools. “This program will help us effectively prepare students to understand the needs of child and adolescent development,” Hegedus said. Ginicola, an associate professor of counseling and school psychology, has been on sabbatical this semester, conducting a study on consequences for modern mothering. Her research looks specifically at “the transition to becoming a mother, the role of gender role orientation, mothering myths — what you think motherhood will be like before becoming a mother — and postpartum depression and anxiety.” She is also looking at the unique issues that face academic mothers. One piece of the research is an online survey — “Gender Role Identity, Role Conflict and Consequences in Mothers” — that received 400 responses in the first week after going live. Clearly, Ginicola’s work resonates. Cheri Smith, a professor of counseling and school psychology and a mother, is another investigator on the research. Angela Stachowiak, a research assistant, is a current graduate student and also a mother. Both have assisted with idea generation and focus groups and will assist with the analysis and publication. Working mothers often experience “role overload,” the feeling that they have to be everything to everyone, at work and at home. They feel they must perform perfectly in all these tasks and consequently leave no time to take care of themselves. “So what we have,” says Ginicola, is a population of “exhausted, overloaded women who feel guilt and pressure to be perfect in an environment that is wholly unsupportive of mothers.” Ginicola cites the lack of paid maternity leave in the United States and the high cost — and scarcity — of good quality childcare as examples of such an environment. “It used to be that new mothers had family and neighbors around for support,” Ginicola says. “They had people to help them. But nowadays, often women have moved away from family and because of work they don’t have time to get to know their neighbors.” Ginicola sees a lot of post-partum depression and anxiety in mothers; she says over 20 percent of new mothers have post-partum depression, and post-partum depression and anxiety in a mother can affect a child’s development. A mother’s childbirth experience can also impact her sense of self. Women often have an illusion of control over pregnancy and childbirth, Ginicola says, “but things don’t always happen the way you think they will.” Some women have post-traumatic experiences after they give birth – they may be bullied into having a C-section, for example – and such surgical interventions can interfere with breastfeeding or the mother’s ability to bond with her baby. There is cultural pressure to give birth naturally, Ginicola says, and the birth experience lives into the post-partum period. So if a mother’s delivery doesn’t go according to her wishes or expectations, she may have feelings of being violated or believe she failed in some way. Once the taboo around being honest about motherhood is broken, and mothers can speak about their experiences, emotional support becomes available, Ginicola says. “In a supportive environment you don’t have problems” such as post-partum depression and anxiety. Reading the responses to the survey has made Ginicola realize that mothers don’t have a voice, and that they need to talk about their experiences. As a result of her research, she says, she hopes to provide better information for health providers so that they understand what their clients are going through. "We Make Cool Stuff With Our Hands"
Jacob Hagedus’ outdoor sculpture installation on display outside of Earl Hall has engaged a number of curious people on campus. Since the work is outdoors and public, Hagedus often had onlookers ask him what he was making while he was constructing the piece. A senior majoring in studio art with a concentration in sculpture, he also has a piece installed at the John Slade Ely House Center for Contemporary Art in New Haven as part of a current exhibition of Connecticut students’ artwork. Hagedus describes his work as construction and fabrication rather than actual “sculpting.” “This is my response to the question, ‘what kind of artist are you?’” he says. Sculpture as a word has changed a lot, he says, as have its materials and methods; for example, his piece at the Ely House is made of long fluorescent light tubes, a far cry from the marble and granite many people think of when they hear the word “sculpture.” Hagedus believes that working with light is the direction his mature body of work will take. Having access to materials like light tubes, he says, has changed his ability to do his work. The Ely House show is a curated exhibition open to undergraduate college students in Connecticut. About 70 students are represented in the show, and the exhibit remains open until Dec. 21. “The purpose of the exhibition is to give students the experience of being part of a gallery exhibition,” Hagedus says. “Galleries can be very hard to get into.” Hagedus applied for the exhibition over the summer, at Slomba’s encouragement.